The Healthy Hybrid – A Life in Transition | Join me on my journey to complete health! Hello! If you haven’t been seeing posts here lately, it’s because I’ve decided to take my blogging full time. You can find new posts and giveaways at www.SchannaNaturally.com. Be sure to keep up to date by signing up for the newsletter! Thank you for your support so far and I hope to see you over at Schanna Naturally! Please be aware that it may take a couple of weeks for your skin to get use to this method. You can do it daily, weekly, or whatever works for you and your skin. The oil cleansing method can help with issues like oily skin, dry skin, sensitive skin, blackheads, whiteheads and problems caused by mild to moderate acne. Using this method gently removes the environmental garbage that gets on our skin during the day, exfoliates, and moisturizes the skin. This method is also great for removing makeup! Hair is only the tip of the iceberg my friends! Below, you’ll find a list of ways we use this versatile liquid as well as a few extra uses I’ve found here and there. I use the cheapest vodka I find. It should be 80 proof/40% alcohol. Are you ready to get your vodka on? 1. Obviously, Drink it- Drink it plain or infuse fruits and stuff into it. I’ve seen skittles and bacon………..not together if that helps! 2. Vanilla extract– This is one of my standard, “Oh, crap, I don’t have a gift or time to get one,” remedies. It’s super simple. All you need is vodka, a container and vanilla beans. I’d say 2 beans per 1 cup vodka. Slice the vanilla beans open length wise and stick them in the vodka. Let it sit for a minimum of 6 weeks and a maximum of forever; the longer the better. If you find that you are running low on extract, simply replace what you use with vodka every now and then. This is also great to add other spices to such as nutmeg and cinnamon. Pssst!! You can also use this method with cocoa powder for chocolate extract! 3. Herbal tinctures- You may want to use a higher proof for tinctures depending on how quickly you use them and if you’re using fresh herbs. Alcohol is a natural preservative but with fresh herbs the alcohol gets more diluted because of the water content in the plants. For a basic tincture, you place your herbs in a jar and fill it with vodka, up to about an inch from the top. Then you place a lid on the jar and let it sit in a dark corner for about 4-6 weeks. It’s fine if you leave it longer. Strain your herbs and you are good to go! Now making herbal tinctures can definitely be more complicated than this but I’m a newbie to the game and like to keep it simple. I am not one who measures much but if you need more specifics you can go with 1:2 ratio for fresh herbs and a 1:5 ratio for dried herbs. (Herbs: vodka) You can also make tinctures with apple cider vinegar or food grade glycerin but I have yet to do it. So far the favorite that I’ve made is an Echinacea/Elderberry tincture for colds and an immune system boost. 4. Fabreeze- Stick some vodka in a spray bottle and spritz your clothes/ furniture to help with any funk they might have. Great for mildew, cigarette, and sweat smells too. Great for stinky shoes! I like to add essential oils for scent. By the way this leads us to number 5……..
5. Perfume- A little bit of vodka, your choice of essential oils and BAM! You’ve got yourself a custom made perfume. 7. Astringent or Aftershave- It will clean your skin and tighten those pores! 8. Glass Cleaner- Mix vodka and water for a streak free shine! It removes hairspray from mirrors and I use it on my glasses too. Well, I did before my two year old got ahold of them. 11. Disinfectant- I dip my tooth brush in vodka every now and then to kill bacteria. I also use it mixed with water to wash things down after someone has been sick. 12. Antiseptic Mouthwash- You can either let ingredients like cinnamon, peppermint, and cloves sit in vodka for a few weeks or use essential oils. I typically do 50/50 vodka/water with various essential oils. I use combinations of cinnamon, clove, tea tree, peppermint, and lemon essential oils when I make it. You can add stevia if the taste is too offensive but I find it’s usually refreshing. 14. Flowers- To keep cut flowers looking fresher for longer, add a couple drops of vodka and a teaspoon of sugar into the water and change every other day. 15. Caulking- Spray undiluted vodka on the caulking and tiles of your bathroom to kill mold and mildew. Leave on for about 5 minutes and then rinse. 16. Wasp spray/Bug repellant- Spray yourself with vodka to repel bugs! It also kills wasps and bees if you spray it on them but please don’t kill the bees. We really need them! 17. Air Freshener- Spraying plain vodka in the air can leave the room refreshed without leaving a scent. If you do want a scent, add some essential oils. 18. Keep aphids off plants- Dip a cotton ball or cloth in vodka and wipe off the leaves of your plants. I wouldn’t use this on delicate plants though. 19. Clean Crystal and Porcelain- Great for holiday ornaments! 20. Goo Removal- Fantastic at removing sticker residue and various gooey substances left behind by children! It’s also good for painless band-aide removal. 21. Wine and other stubborn Stains- Pour a little more alcohol on those red wine stains and it should come right out. It’s also good for lipstick, oil stains, ink and grass stains. 22. Razors- Prolong the life of razors by soaking them in vodka after shaving. It disinfects and prevents rust! 23. Ice pack- Mix about a cup of vodka with ½ cup water and put it in a ziplock type bag for a malleable ice pack. 24. Aches and Pains- Put lavender in a jar and fill it with vodka. Leave it in the sun for a few days and then strain. Rub on aches and pains. 25. Stinky Feet- Wash them with vodka. 26. Sore throat- Put a tablespoon of vodka into warm water and gargle. 27. Toothache- Swish it in your mouth until your gums absorb some of the alcohol. Your tooth should feel better. Bonus points if you made that mouth wash with clove oil! Clove is great for toothaches. 28. Jellyfish Sting- No need to pee on yourself……or to have one of your friends do it. Well, unless you don’t have any vodka. If you do have the vodka, I’ve read that it makes a great replacement for pee. 29. Poison Ivy/Oak- Rub it on for relief. 30. Flakey Pie Crust– Rumor has it that if you replace the water in your crust recipe with ice cold vodka, it makes it extra flakey. Flakey…….Is it me or is that a weird word when written out? Flaky? Flakey…….. on to number 31! 31. Fever- I, for the most part, don’t mess with fevers. It’s usually your body’s way of trying to help you out. If you need to bring a fever down though, vodka can help! Soak a washcloth in vodka; then rub on your chest and back. 32. Cold Sores-Dab a bit of vodka on it with a q-tip. You can do this daily until it goes away. 33. Weed Killer– Spraying vodka on weeds is pretty effective. I wait until midday and then use a concoction of vodka, a few drops of dish soap and some salt to spray on the weeds. Vodka works all by its lonesome but I like to play mad scientist. 34. First Aid- If your first aid kit is bare but your liquor cabinets are full……..well, you might want to re-evaluate a few things! *clears throat* Uh, I gotta go re stock my first aid kit now…. I kid, but you can really use vodka in place of rubbing alcohol. It works on bug bites, open blisters, and small cuts. It’s a good anesthetic and disinfectant. 35. Vomit Stains– Ironically, vodka will take care of that. 36. 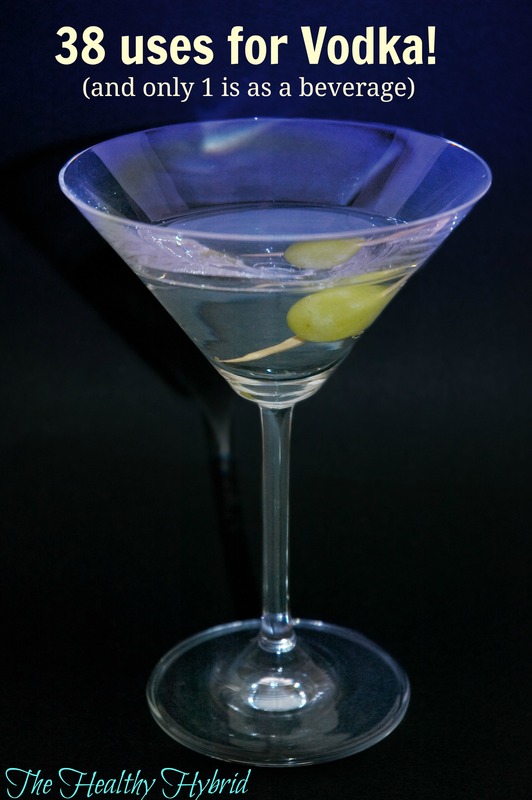 Ear Aches- Vodka kills the bacteria in the ear. Put a few drops in your ear, tilt your head so it doesn’t roll out and let it stay for a few minutes. Then tilt your head the other way to drain. 37. Remove rust from screws- Leave the screws in plain vodka for a few hours and then wipe the rust right off. 38. Shoe funk- Spray it in your shoes and let it dry. Easy peasy! Disclaimer: Please remember that I’m not a doctor or any type of medical professional. I’m simply a lady with leftover vodka. Join the FREE 2013 Healthy Life Summit!!! Check out this FREE online conference with 35 speakers including Sally Fallon Morell, Joel Salatin, Chris Kresser, and more. It’s happening March 24-30, 2013. No travel, no hotels — just watch online! It’s time for my very first giveaway and I’m so excited to team up with Hayley from Hayley’s Lockets! Hayley was kind enough to contact me and offer to giveaway 3 free charms from Origami Owl! The winner gets to pick the charms that they like! Please read the rules and follow this easy widget as they are crucial for your entry to qualify. 2. 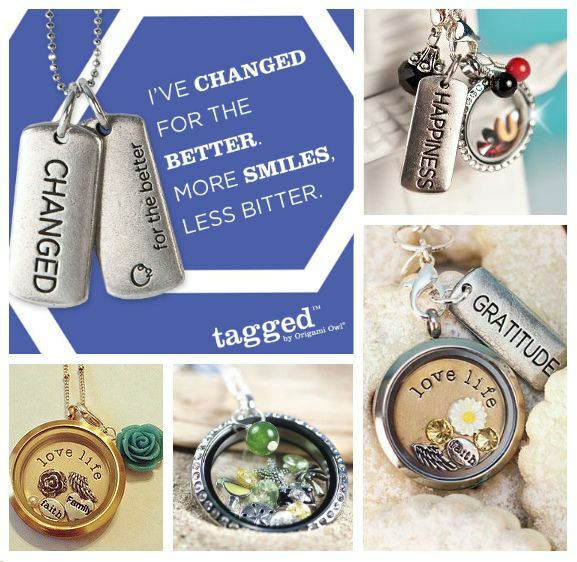 Be a fan of both The Healthy Hybrid – A Life in Transition & BOTH Origami Owl Facebook pages listed. To enter the giveaway for the 3 charms, click the link below. Read further for opportunity to win the Custom Living Locket! Guess what?! Even though only one person can win the 3 charms, Hayley has made it possible for more goodies to be won! Yay! You also get the opportunity to win the Custom Living Locket with free shipping (a $100 value) by purchasing the Limited Edition “Changed” Tag OR with a purchase of $30 or more @ http://www.hayleyrutter.origamiowl.com!!! The picture above shows EXAMPLES with a preview of the Changed Tag! YOU will get to build your own Locket! 3. Be a fan of both The Healthy Hybrid – A Life in Transition & BOTH Origami Owl Facebook pages listed! >EVERYONE who orders the CHANGED TAG (http://tinyurl.com/cu9ryuq) will receive Rascal Flatts “Changed” Single for FREE! >You would also have the chance to be 1 of 5 lucky people who will be surprised with an EXTRA gift in their package when mailed to them! >AND will be automatically entered in to win Hayley’s Summer Giveaway! As I stood at the stove preparing the first meal of the day for my family, I realized that I am in a new, loving and healthy relationship. There is something so satisfying about nourishing something that nourishes you back. This particular relationship feeds me as I feed it,literally. I’m talking about food. I’ve had an incredible mind-shift and it certainly didn’t happen overnight and hopefully it won’t ever be complete. I look around my kitchen and it’s one that’s completely different from the tomb it was even a year ago. My kitchen a year ago held dead food for people who were set up to follow far too soon. Now I look around and it’s brimming with life. My friend, Alison was the catalyst for this realization. I was lamenting over the difficulties of becoming healthy and feeling that I just wasn’t doing enough. As I tried to relay how awful I was doing, I realized that I’ve made progress and I’m moving steadily towards my goals. My all or nothing mindset has been slightly altered without me knowing and slowly changes, good changes, are being made. Thank you, Alison! 1. Look up how to do it. 2. Figure out/look up the science behind it. 3. Throw caution to the wind and do it my own way. Did you hear that? I FEED my food! It’s alive and hungry and needs to eat and when I care for it, in turn, it cares for me! It’s a beautiful thing people! I don’t even know how to convey in writing how this light bulb moment has made me feel so I’ll put it this way………. Mind. Blown! Now I’m not saying that I’ve turned into an actual real live foodie who knows everything about healthy food because I’m sure I’m making mistakes but I’ll learn from them and I’m moving in a forward direction. I’m also sure that people will disagree about what’s healthy and that has merit but I firmly believe that there is more than one way to get to the same place and I’m so happy with the scenery on the path I’ve chosen so far. I can’t wait to see what’s ahead and to look back a year from now and talk about how enlightened I thought I was! How about a recipe? 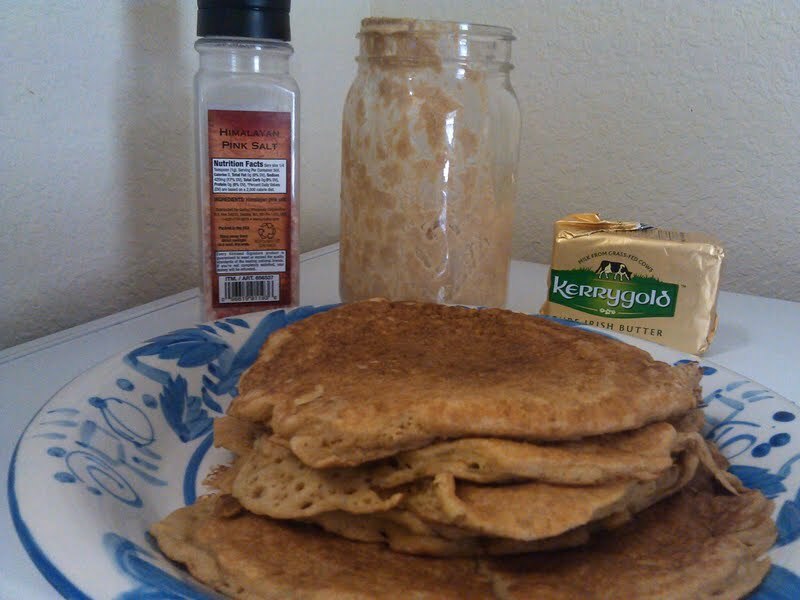 Here’s how I made this morning’s pancakes. This recipe made 6 pretty large pancakes. Warm up a pan to medium heat. Mix baking soda and water, then set aside. Next mix everything else and add the water/baking soda mixture last. Pour batter in pan and flip when edges are browned. These pancakes are naturally bubbly so you can’t really go by that and they cook super quickly. Enjoy! 29 ways to use an over the door shoe holder! 1. Lunch making supplies: Sandwich Bags, napkins, plastic utensils, lunch box notes, straws, snacks, etc. 2. Spice rack: Place your spices in the pockets and you can even alphabetize them. 3. Snack holder: Fill with healthy and child-friendly snacks that your children are able to help themselves. 4. Craft/sewing supplies: The perfect pockets to hold all your craft and or sewing supplies, including thread, yarn, scissors, hot glue gun, craft magazines, ribbons and laces. 5. Food sorter: Place small items such as cake decorating supplies, season packets, powder drink mixes, boxed rice and pastas. 6. Utensil holder: To end the hunt of digging for the potato peeler or spatula, organize your kitchen gadgets and utensils for easy viewing in each pocket. 7. Art supplies: Create a child accessible art center by placing and storing paint brushes, scissors, rolls of tape, glue sticks and felt markers. 8. Child’s toys: Small cars, action figures, stuffed animals, dolls and accessories to small toys and gadgets. 9. Wrapping supplies: Create a wrapping center by using the pockets to hold ribbons, bows, scissors, tape, and gift enclosure cards. 10. Children’s clothing: Give your child independence when it comes to getting dressed by filling the pockets with their socks, undergarments, tights, shoes and belts. 11. Baby station: The one stop center for new baby diapers, ointments, undershirts, pajamas, socks, lotions, pacifiers, rattles and any other baby items. 12. Jewelry: Hang a shoe organizer in your closest and sort and store all of your fun costume jewelry for easy access and storage. 13. For guests: When you have over-night guests use a shoe organizer to place items they may need including shampoo, soap, extra toothbrush, snacks and even reading material. What better way to say welcome, make yourself at home? Hang in your guest bedroom or bathroom. 14. Hanging junk drawer: Empty and organize your junk drawer into all of the shoe organizer pockets-place all the items you need to find but often have to search and dig for, such as: flash lights, batteries, camera, super glue, measuring tape, permanent markers, etc. Hang it in a hall, laundry or other convenient location. 15. Garage storage: Fill with cans of spray paint or children’s stuff, like basketball inflation needles, goggles, squirt guns, gardening tools or squirt hose attachments. All the small items that typically get lost and buried in the garage are now organized. Spray paint fits perfectly in this pockets! 16. Homework/office supplies: Store your surplus of office and homework supplies, including pencils, erasers, scissors, hole puncher, staplers, rolls of tape, notepads, pens and pencils. 17. Video game storage: Store controllers, wires, cords and games in the pockets for simple storage and use. 19. Hall closet or mudroom: Fill the shoe organizer with items you need to take on the go -mittens, scarves, hats, cough drops, school supplies, sun glasses, keys, wipes, umbrellas, small tissue packages, sunscreen or mail that needs to be mailed out. Hang it in either the hall closet or your mudroom. 20. On the go: Next time you travel, toss an empty shoe organizer into your suitcase for an instant travel organizer. Once you arrive to your destination you can fill it with all of your toiletries, cameras, sunglasses, room keys, snacks and end the digging and searching in the bottom of your suitcases. 21. Dorm life: College dorms seem to never have enough storage space so use these shoe organizers to store cameras, music devices, hair accessories, toiletries, sunglasses, DVD’s, school supplies and anything you just need a place for. 22. Cleaning Supplies: Give yourself easy access to your household cleaning supplies by keeping them organized. Better than digging through cabinets! 23. Advent Calendar: Place a number in each pocket and store a treat behind it! 24. Planter: Wouldn’t it be nice to have fresh spices in your kitchen? Plant a variety out of the way and in reach for your delicious dishes! 25. Education: Make or buy flashcards to put in each pocket and use it as an educational tool for your kids! You can use numbers, letters, matching games, the possibilities are endless! 26. Chore Chart: Place pictures of each chore your child needs to complete in a separate pocket. As the chores are done, turn the picture around! Works great for adults too! 27. Seed Packets: Perfect for organizing seeds for your garden! 28. Car Organizer: Divide in half and hang one on the back of each front seat to give the kids easy access. 29.Shoes: Well, that’s rather obvious isn’t it? Still, it’s a great use for a shoe holder!